Hailing from the west coast of Australia, Ruby Boots have grown to become one of the state’s favourite touring/ recording artists and is the creative musical collective of writer/ performer Bex Chilcott. Inspired by great blues, folk and country artists over the decades, Bex shapes stories of a well-travelled life and the people she’s encountered along the way. Her trademark emotive and soaring voice punctuate these experiences, while the band brings the guitar licks, bar-room piano, slick violin and kicking rhythm section to conquer all would-be wall flowers. It’s hard not to have a great time when Ruby Boots are in full flight on the stage. Now with two EP’s to their name, Ruby Boots are ramping up for the recording and release of their first album. In the last 12 months, Bex has been travelling far and wide on a music pilgrimage to the roots of her inspiration such as Memphis, New Orleans and Nashville while also spending time co-writing in Nashville, Utah, Melbourne and Sydney. It’s all building a swag of material for the long-player which is being recorded by Australian producer Tony Buchen in May 2013. Already released, is the first single Kellie Anne recorded in Nashville with producer Robin Eaton and features the pedal steel of Calexico’s Paul Neihaus. Back to the live front, Big Day Out, Laneway, Boyup Brook, Bridgetown Blues, Nannup Folk, West Coast Blues & Roots, Queenscliff Music, Illawarra Folk and Tamworth are all festivals now carved into the Boots’ short history, plus 4 of their own east coast tours and supports for Justin Townes Earle, Rev Horton Heat, Diesel, The Waifs, Oh Mercy, Wagons, The Audreys, Adalita, Ash Grunwald, TinPan Orange and Father John Misty. 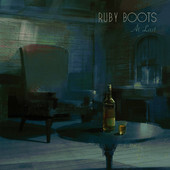 Further to the spring 2013 release of the debut album, there will be plenty more Ruby Boots action in the form of touring, music clips and radio singles. Keep an eye and an ear out – it’s going to be a fun year.